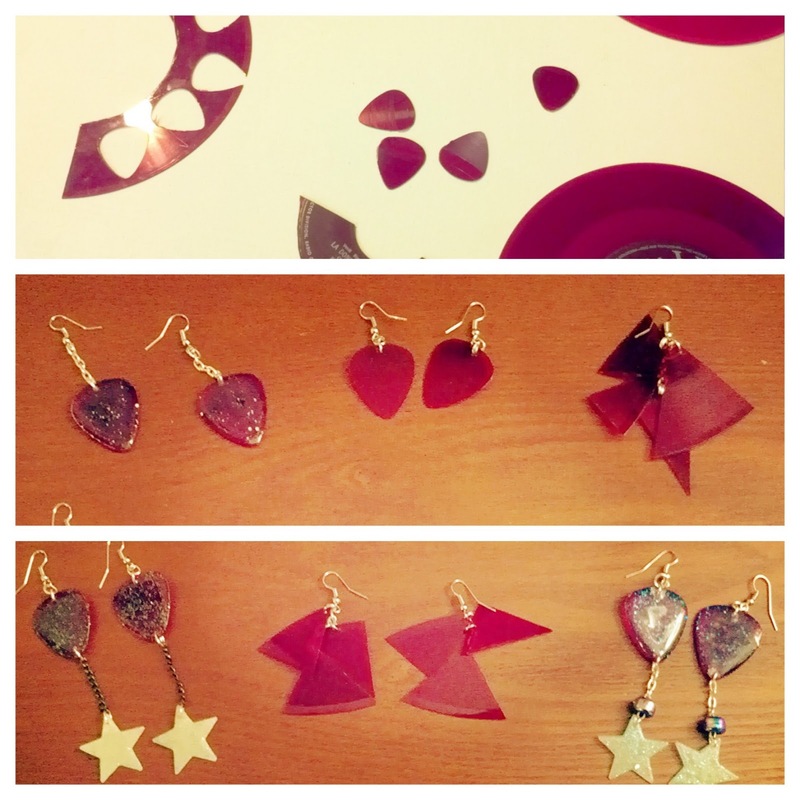 All the earrings I made from one 45 record! Six different pairs to choose from! 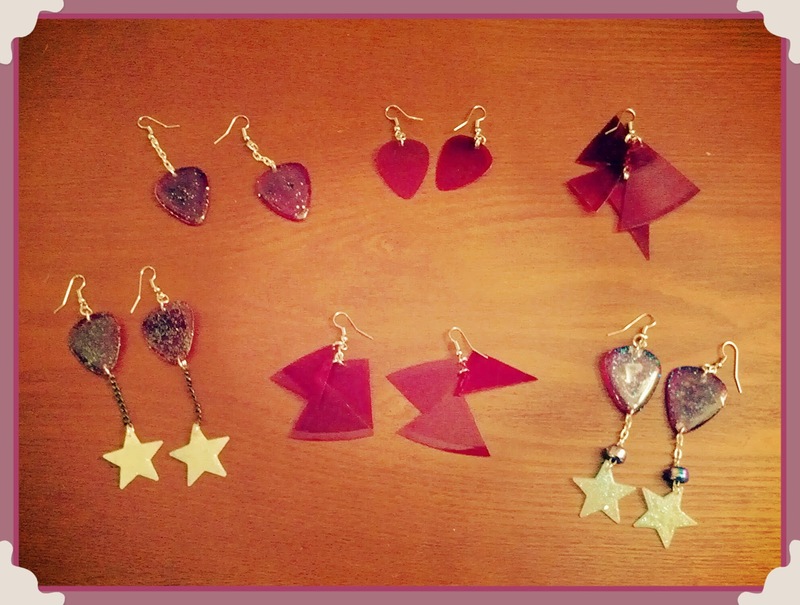 From left to right, sparkling dangle guitar pick earrings, classic red 45 guitar pick earrings, one record pieces earring, sparkle dangle guitar pick earrings with glow in the dark stars, a pair of record pieces earrings, and a glittering dangle pair of earrings with glow in the dark stars and iridescent beads. The edges of the record pieces earrings have been finely sanded so it no longer has a sharp angle. To get rid of any smudges I finished them all off by giving them a light polish. 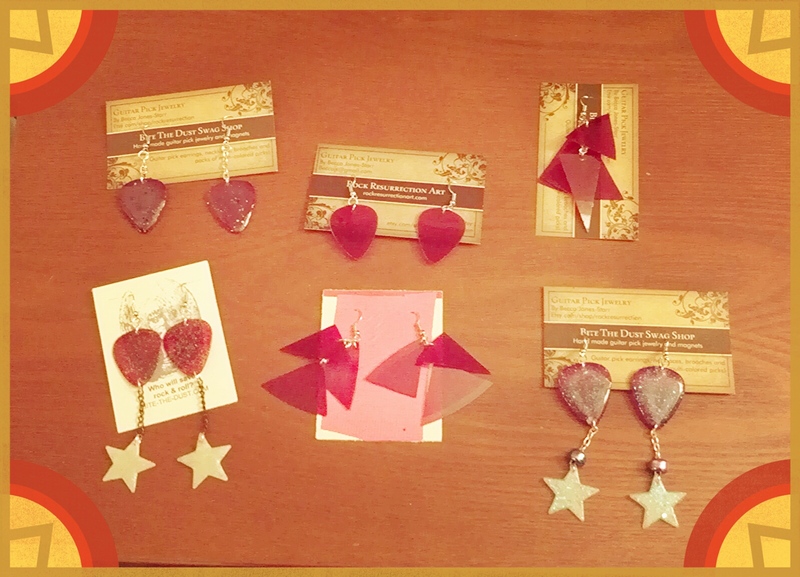 Also be sure to check out my first pair of Red 45 guitar pick earrings!